BEIJING, May 16 (Xinhua) -- China sees Belarus as an important partner in Belt and Road development, President Xi Jinping said Tuesday, urging more efforts to deepen trade and investment cooperation. Xi made the remarks when meeting with Belarusian President Alexander Lukashenko, who attended the Belt and Road Forum for International Cooperation on Sunday and Monday in Beijing. China is ready to further tap the potential of cooperation with Belarus for development, Xi said. The two countries should strengthen policy communication and integrate their development strategies to create new sources of growth, he noted. The Chinese president called for deepened economic and investment cooperation with Belarus and more balanced and sustainable two-way trade. The construction of the China-Belarus Industrial Park should be accelerated and local-level cooperation should become a new driver of bilateral cooperation, Xi said. He also urged closer people-to-people exchanges and cooperation in such areas as education, culture and tourism. Reviewing China-Belarus relations, Xi said the two countries have firmly supported each other on issues related to their core interests and major concerns, with practical cooperation and close coordination in international and regional issues. 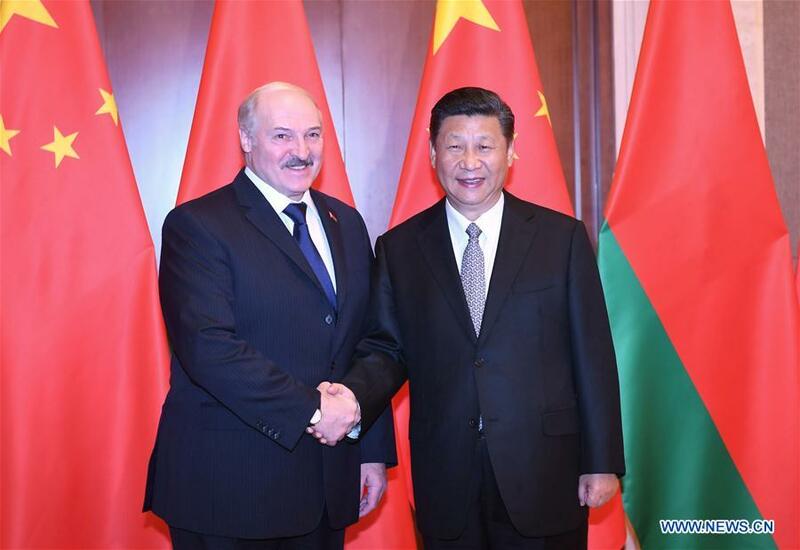 Lukashenko said Belarus and China are sincere partners, noting that his country is ready to expand cooperation with China in trade, investment, industrial capacity, culture, sports, tourism, and science and technology. He said Belarus welcomes Chinese businesses to participate in major projects in his country, including the China-Belarus Industrial Park. Lukashenko also praised the "immense success" of the Belt and Road forum. After the meeting, the two presidents witnessed the signing of several documents on cooperation in Belt and Road development as well as economic and technological areas.